When is it time to remove your Christmas tree? There are two rules of thumb... 1) When it fits into your schedule to do so. Many people look forward to returning to a regular routine after New Year's Day and so it may suit them best to remove the tree and put away decorations now. Or if, you're planning a vacation early in the new year, you should take your tree down before you depart so it is not neglected during your absence. 2) If your tree begins to drop large quantities of needles, it's a sign of drying and you should remove it from your home. To help capture those needles, you can use a tree bag or place your tree on a large bedsheet while you remove it. 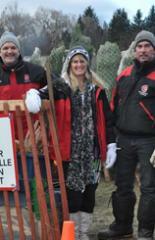 Any loose needles can then be easily disposed of in flower beds or compost areas. 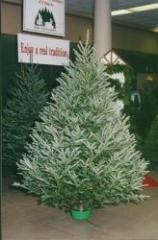 Some species, such as Fraser fir, tend to retain needles even if drying has taken place. You need to use your best judgement in these cases. If you know that the water in your tree stand has fallen below the level of the tree trunk at any point, the tree can no longer take up water so drying will occur. The tree should therefore be removed from your home. What can you do with your tree after the holidays? Most municipalities offer a special tree pick-up early in January. 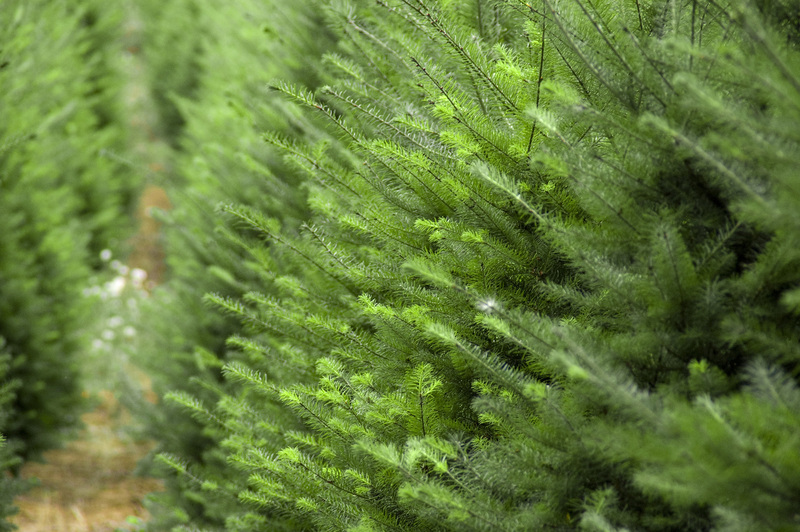 Real Christmas trees are completely biodegradable so trees are usually chipped for use as mulch in parks and municipal flower beds. Some municipalities also use real Christmas trees in shore line rehabilitation projects, such as an extensive project in Hamilton harbour in Ontario. When you put your real Christmas tree out for recycling, you can be comfortable knowing that it will not add to the burdens of our landfill sites. Many people now place their "retired" Christmas tree on patios or decks and decorate it a second time with treats for birds. The tree offers a feeding station and a bit of shelter from winter winds and you will enjoy watching the birds all winter. Be sure to remove all tinsel, metallic garlands, strings and ornament hooks from the tree before you put it outside for the birds. There are numerous other uses for your real Christmas tree... � You can use tree branches to protect shrubs from snow build up � Use needles as a mulch for plants requiring acidic soil � Use the trunk as a stake for climbing plants � Use the trunk for small wood turning projects � Use several trunks to make a rustic obelisk garden decoration � Use needles to stuff mug pillows, for a whiff of Christmas every time you set a warm mug down � Use needles and bits of bark, along with leftover Christmas wrap to make your own hand made paper � Spray paint the "naked" tree and save it as an outdoor decoration next Christmas Thank you for visiting the Christmas Tree Farmers of Ontario Website. This is the final posting of Christmas hints for the 2007 season. Your comments and feed back are welcome, as are your own favourite traditions, decorations, recipes and so on. Have a wonderful year and look for the 2008 Holday Helpers starting in November.